You may have noticed that people who are often ill tend to be pretty negative. Of course, it’s hard to be happy when you’re always sick or in pain. 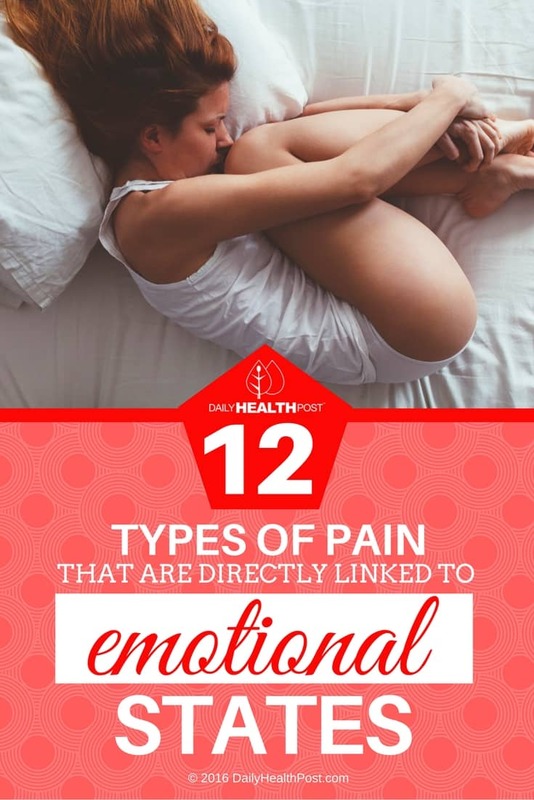 However, science is saying that your emotions may be the cause of the chronic pain you’re experiencing – and not the other way around. According to Science Daily, a recent study by Carnegie Mellon University demonstrated that chronic psychological stress is associated with the body losing its ability to regulate the inflammatory response. This research shows for the first time that the effects of psychological stress on the body’s ability to regulate inflammation can promote the development and progression of diseases such as cardiovascular disease, asthma and autoimmune disorders. According to the US Department of Veteran Affairs, approximately one in three Americans suffer from some kind of chronic pain in their lifetimes, and about one quarter of them are not able to do day to day activities because of their chronic pain. Research has shown that many patients who experience chronic pain (up to 100% of these patients) tend to also be diagnosed with depression. Similarly, approximately 15% to 35% of patients with chronic pain also have PTSD. Pain in your head, like headaches and migraines, can be triggered by the stresses of everyday life. It may be an indication that there’s something that’s overwhelming your thoughts. When this kind of headache occurs, just breathe and try to relax. Lying down or taking a nap may help ease the pressure you feel in your head. Baths and soothing drinks can be very therapeutic too. Ever feel like someone is a pain in the neck? Turns out, it may actually be true! Pain in your neck is often a sign that you’re having trouble forgiving others, or even yourself. Instead of letting yourself be overrun with resentment and anger, make a mental list of what is good about the person, or what your strong points are. The key is to consciously work toward forgiveness. Pain in your shoulders is often accompanied by heaviness in your chest. 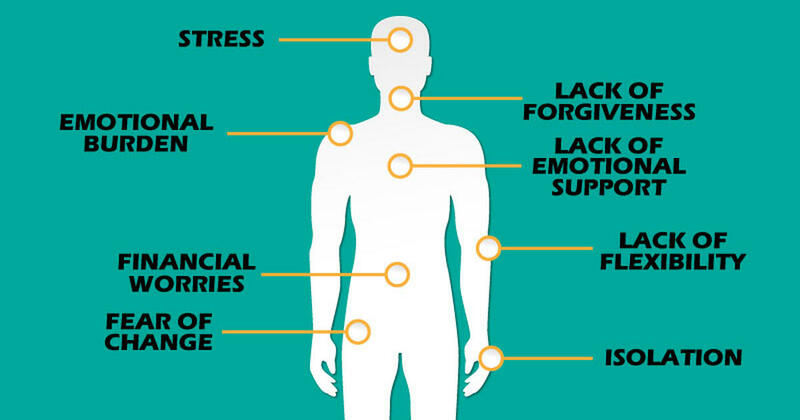 It may indicate that you’re carrying a tough emotional burden. That’s where the saying “shouldering a problem” comes from. Go for a massage and focus on how to solve your problem instead of carrying them around with you. You can also speak to a friend, family member or shrink to get some outside perspective on how to be proactive.